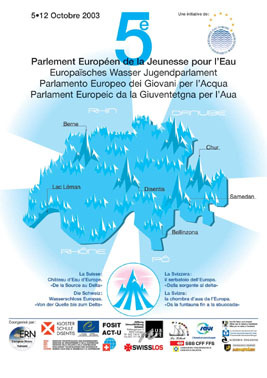 The step of the Youth Parliaments for Water was taken by Solidarity Water Europe (SEE) in 1999 in Espalion, at the first European Youth Parliament for Water. The Youth Parliaments for Water are intercultural and intergenerational meetings which gather around the theme of water, professionals (educationalists, scientists, local representatives, technicians, engineers.......) and young citizens involved in a local project (public awareness, site cleaning, water resource protection, access to water.......). � To involve young people in water management by supporting those who take action for water throughout Europe, at school, in an organisation or in their family environment. � To encourage young people in the process of learning democracy and citizenship. � To heighten youth and adults' awareness of active water management in the field of hydrographical basins. � To promote exchanges, intercultural meetings and debates between young people and adults on the theme of water management. 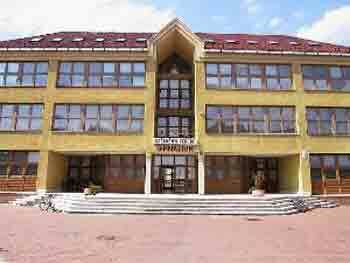 The theme depends on the Parliament location. - The 5th European Youth Parliament for Water 'from the source to the Delta"
Back to the mainpage "RiverNet Education"